We ended up having a couple of nights in Bourke. I liked the town a lot more than I thought I would. 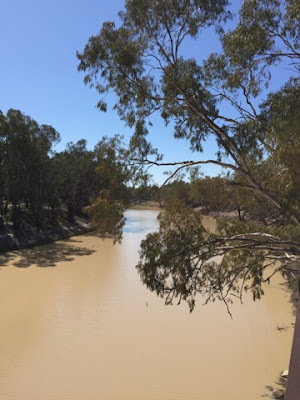 Bourke is situated on the Darling River which along with the Murray River is the two major river in Australia. I was very surprised to see just how muddy this river is, like an upside down river. 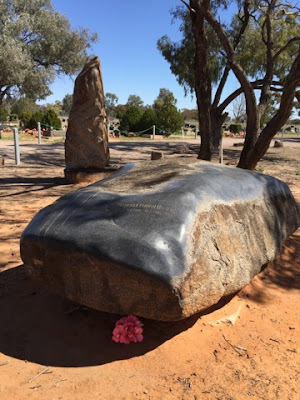 Bourke has a very interesting old cemetery with some interesting subscriptions on some of the old graves. The bush ranger "Captain Starlight" is laid to rest there. Also one of Australia's most loved and influential people "Fred Hollows" is also laid to rest there too. Fred Hollows was actually a New Zealander and his first visit Bourke was in 1971 when he was Chair of the Division of Ophthalmology at the University of New South Wales. From the first time he set foot in Bourke, he fell in love with the town and its people. Fred was buried with his glasses, a bottle of whiskey, letters from his children, sawdust from his workshop, his pipe and a tin of tobacco. Throughout his life he did so much for so many people and their eyesight. What an amazing man he was. This morning we headed off not really knowing where we would stay tonight. 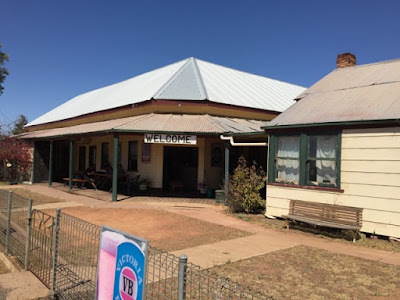 When we hit the New South Wales - Queensland border we came across the historic (very old) Tattersalls Hotel. More interesting than the hotel was Mary the 91 year old publican. She was such a character with lots of stories. She loved the horse racing, so her and Shane had a lot to talk about. She also had an interesting story about Fred Hollows too. Many years ago he visited the hotel and she sat in her kitchen and had a bowl of her homemade veggie soup. She said he was a "pretty rough bloke. Tough and he swore like a trouper". As we were leaving she said to Shane "I wish you could stay longer and we could talk racing all day". She was such a personality to meet along the way. So now here we are for the night in Cunnamulla, Queensland. Today has been the best weather so far 27c. 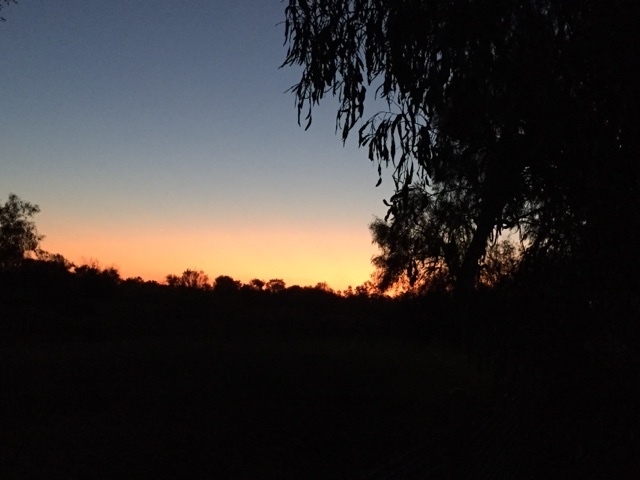 We have also had our first Queensland sunset tonight , which was pretty nice. We thought we might stay two nights but will probably head off tomorrow as the people who are running this caravan would have to be the two rudest caravan park managers I have ever come across.